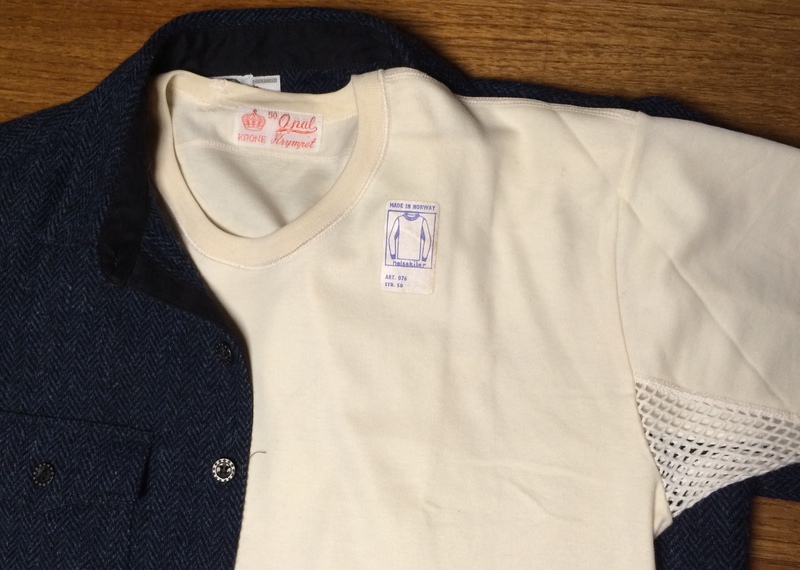 A glimpse into the past - Well Dressed Dad - It is a proper menswear blog. Like, with original words and opinions and suchlike. Whilst on one of my recent prowls of the local thrift shops I came across a find that really set my interest in motion. In amongst the usual fayre of high street rubbish and outmoded suits there was a rather unassuming cotton shirt. Natural coloured, not even the usual bleached white. I almost went past it, but something called to me and I took a closer look. 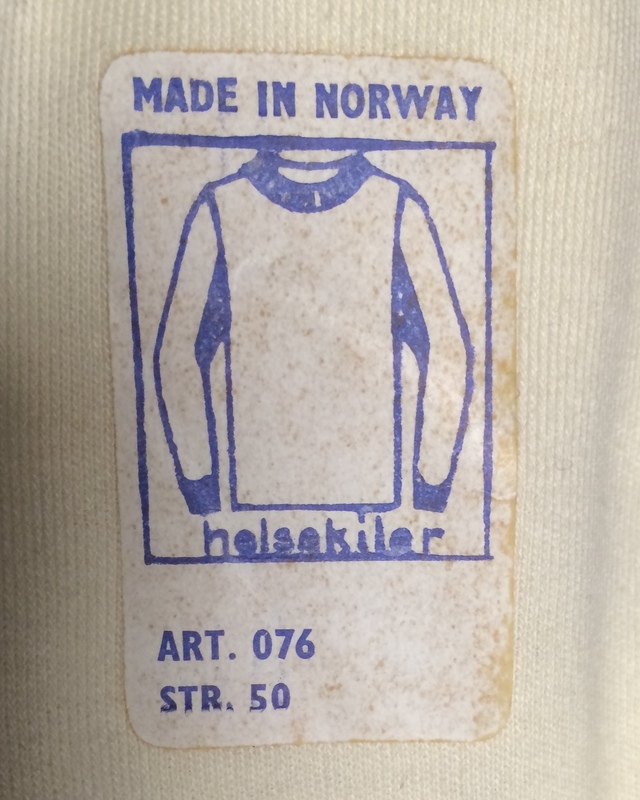 The brand name on it was “Krone” and on the obviously pretty old sticker on the front it proclaimed “Made in Norway”. Old, and made in Norway? Norway is a country that has been busy making as little as possible for a while now, so this was interesting. Research quickly led me to the quite well-documented story of Salhus Tricotagefabrik outside of Bergen. Quite the success story in Norwegian industry, with a history going all the way back to 1859. In a similar way to how mining-villages were built to provide an entire community for miners and their families in the UK, this textile factory built up to provide housing and facilities for the factory workers. And it did well, for 130 years. A nice example of how the industrial revolution came to Norway, evolved, and ultimately died again. The factory was running all the way through to the 1980’s, when it met tough times in the face of foreign low cost competition. At it’s best it employed 360 workers and produced huge numbers of woven articles in cotton and wool, including underwear, socks, sweaters and bathing suits. It finally shut up shop in 1989. No doubt the machinery was all sold off to formerly Eastern Bloc countries, to continue production with lower labour costs. Such is the way today. The old factory buildings are still there, but these days they have been turned into a museum. 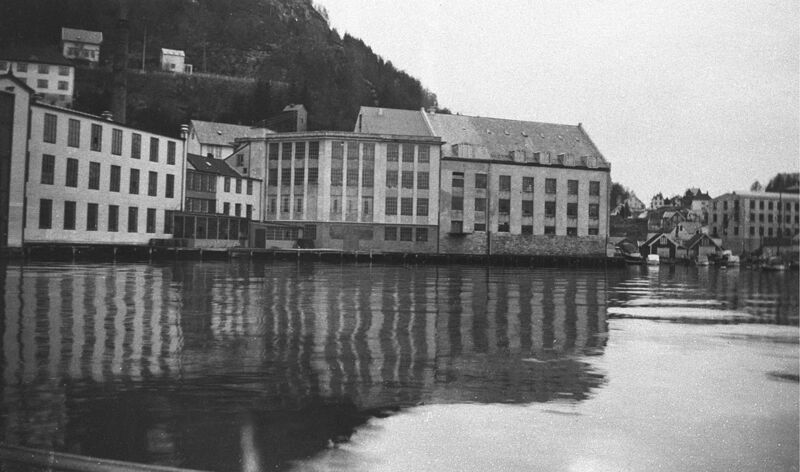 It features the history of the original content of the old factory, in addition to a more general history of Norwegian textile production. Oddly enough, it sounds utterly compelling and I fully intend to visit it the next time I find myself in the Bergen area. What is most striking about the shirt I found is the heft of the cotton weave. 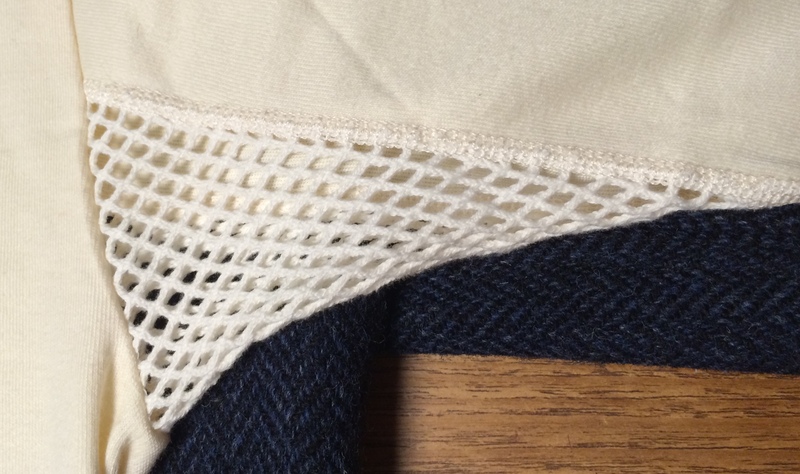 It’s really dense and thick, and the main body has been knitted using a circular knitting machine, so no seams down the sides. Even more striking is that this is marketed as a “health vest”, so it includes the unique feature of having inserts of the same fabric a string vest would be made of in the armpit area. I’ve no real idea how this would give benefits to the wearers health, but it certainly makes for a conversation starter when worn without a shirt over. Or perhaps not, society is truly too polite. 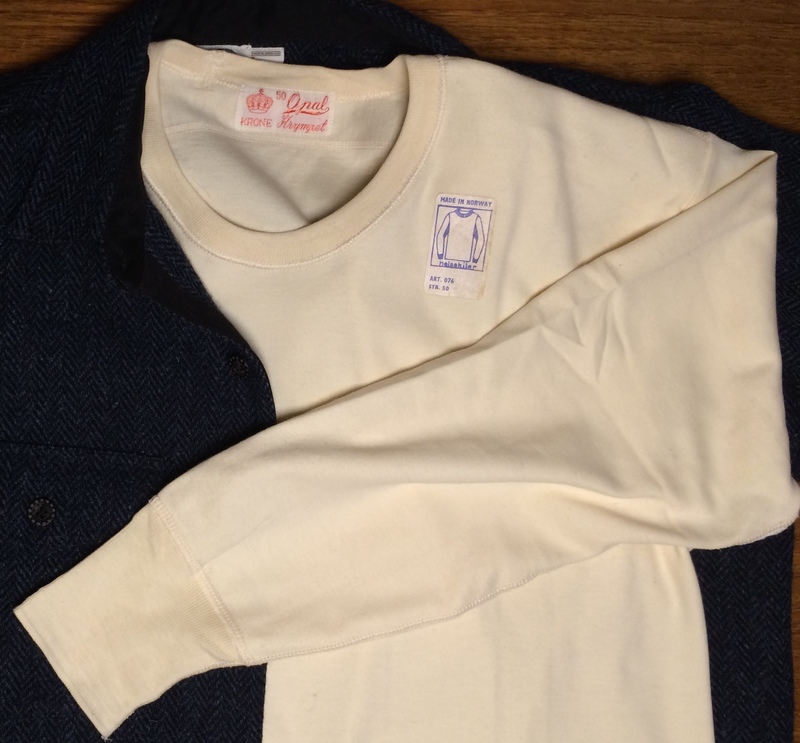 I’m very much enjoying wearing this shirt and it’s absolutely perfect to use as an undershirt under an itchy wool shirt such as a Harris Tweed CPO or a vintage Pendleton. Perhaps a merino wool would be lighter and technically better, but where else can you get the health benefits of the underarm vents and go on to wash the shirt at a blistering 95C? To round off, I got so inspired by this find that I went looking for more of the same. And I found some, almost the same. Deadstock, Milspec, produced in Norway for the Norwegian army. I have plans for them. Indigo-plans. Stay tuned, there will be a few looking for appreciative owners. Shop visit: Last of the Bergen shop roundup! Great story; this is why I love browsing in thrift shops. I look forward to hearing about your plans for the dead stock.